Matt was a great guide and very helpful. He is also a great asset for your business. We said SEGWAY for our smile signal for all of our pictures. We had a great time. Tell Matt that we thank him for all the fun. We will look him up the next time we get to Rome!!! 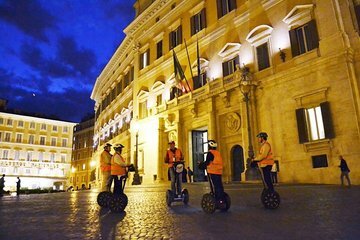 segway is by far the best way to see Rome and nighttime without the heat and with the beautiful fountains lit up it is magical. We had Renato which was fun and informative and new all the best food places and would do it all again given the chance. This tour was amazing! Renato was great. He was friendly and very knowledgeable. It was raining so he provided rain gear and we still had an amazing time. The rain didn’t stop the fun. I would recommend booking this tour ! Had an awesome time on our first night in Rome. 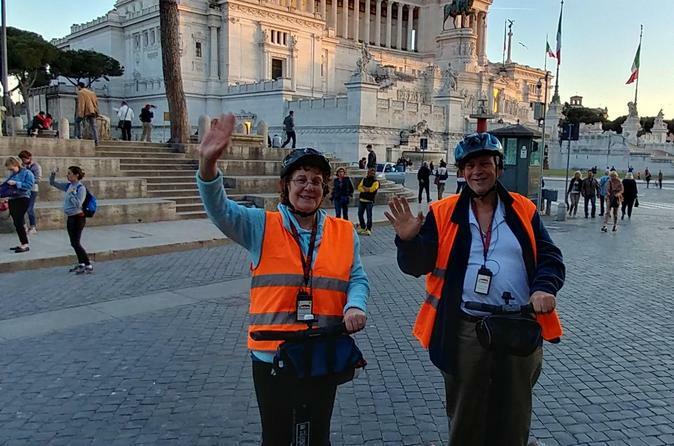 Touring Rome on a Segway is the best way to go! By far the best tour we did in Rome! The guide was incredibly informative and super personable! We saw pretty much every sight that you could want to see on the tour excluding the Colosseum and had a blast zipping around the city. Would highly recommend!! This was so much fun, an awesome way to see the city, the English speaking guide we had, Patricia, was really friendly and very patient with first time segway users! If you want to see the sights, get facts and info about what you're seeing, and have fun doing it, you need to try this!! An amazing way to see Rome by night. We loved everything about this tour and would definitely recommend including it in your Rome itinerary. Best thing ever. The fountains at dusk are amazing. A fantastic tour with an absolutely wonderful guide. This company is super-organised, everything is ready to go when you arrive and you have a lesson to become competent/comfortable with the Segway prior to commencing. Viewing Rome this way at night was extraordinary! We covered so much ground and saw so much. Our guide, Patricia, was very knowledgeable and shared history and stories at each site we stopped at. I would highly recommend this tour while you're in Rome, it's absolutely worth it and a great way to see so much without having to worry about the travel from place to place.